In yet another move that violates NATO’s historic pledge not to extend the military bloc “one inch further to the east,” NATO’s new secretary-general apparently sees no limitations for the 28-member organization. In an apparent attempt to take advantage of the ongoing Ukrainian crisis, where a civil war in the east threatens to tear the country apart, new NATO Secretary-General Jens Stoltenberg paid a visit to NATO member Poland, where he reiterated calls for a rapid reaction “spearhead” force that could launch a military offensive within days. 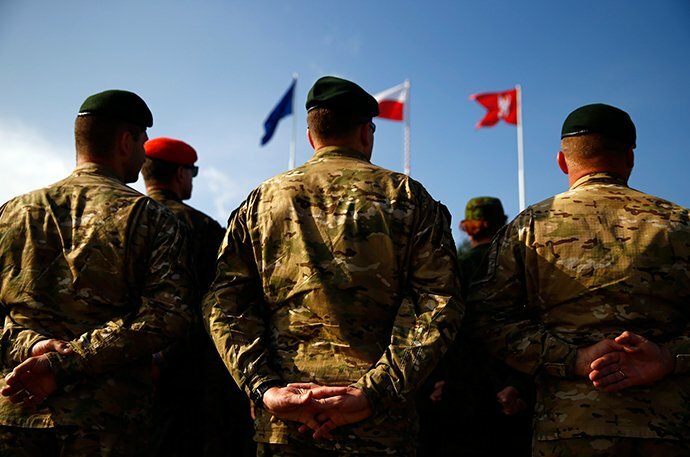 “Next year, at the ministerial meeting, we will take decisions regarding the so-called spearhead but, even before it is established, NATO has a strong army after all,” Stoltenberg told state-owned Polish broadcaster TVP Info. 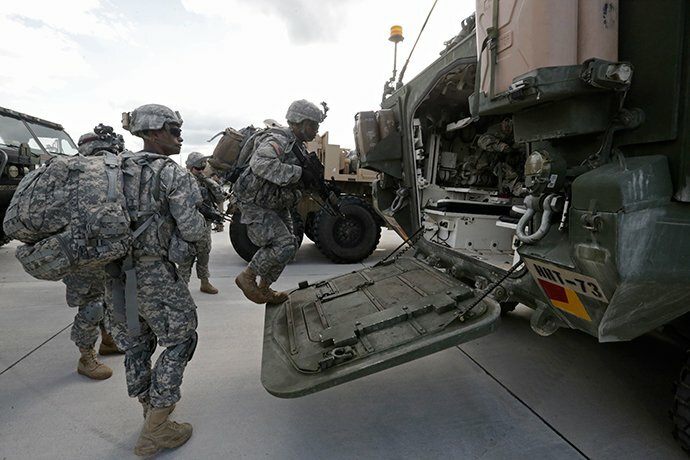 Amid talk of a “spearhead” NATO force, the United States last month transferred 20 M1A1 Abrams main battle tanks and about 700 soldiers, along with Bradley and Stryker armored vehicles, to the Baltic States, marking the first time the US has shipped armored vehicles to Europe since the end of the Cold War, Reuters noted. Such a military force was intended to substitute for permanent NATO bases in Eastern Europe, which the Western military organization pledged not to create following the collapse of the Soviet Union. 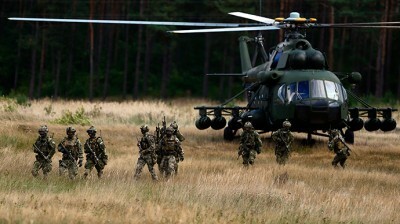 Although some member states, like Poland and Latvia, recently advocated on behalf of a permanent NATO presence on their territory, more influential members like Germany rejected the idea on the ground that it could provoke a strong reaction from Russia. Indeed, much of the current hysteria over Ukraine has been generated by reports in the Western media that blamed ‘Russian aggression’ for the events in Ukraine, even as no credible evidence to support such serious claims have been forthcoming. Yet it has been Western political figures – like former US Senator John McCain and Assistant Secretary of State Victoria Nuland – who were regularly seen in the capital, Kiev, as the crisis was simmering. According to the military bloc’s chief, NATO should be able to have both an expanding NATO force and good relations with Russia. “There is no contradiction between a strong NATO and building constructive relations with Russia,”Stoltenberg, who began his new assignment last week, told the Gazeta Wyborcza daily, as cited by Reuters. Such comments will certainly raise eyebrows in Moscow, which has watched from the sidelines as NATO has continued a relentless eastward sprawl towards its borders since 1990. This has occurred despite a verbal pact formed between US and Russia that the Western military organization would not move towards Russia’s borders. One day earlier, in St. Catherine’s Hall at the Kremlin, then-US Secretary of State James Baker made a pledge to Gorbachev that if the Soviets granted the reunification of Germany, NATO would not move“one inch” further east. Finally, Jack Matlock, the US ambassador to Russia at the time, has gone on record as stating that Moscow was given a “clear commitment” with regards to NATO’s pledge not to expand further in Russia’s direction. Since 1990, NATO has added 13 new member states to its ranks, bringing the organization to 28 members – and increasingly closer to Russia’s doorstep. Meanwhile, even the idea of Russia-NATO cooperation on the US missile defense shield for Eastern Europe has been denied to Moscow, which has warned on numerous occasions in the past of a “new arms race” unless some sort of a mutual agreement is found.